An aerial view showing forest cleared for cattle ranching at Sao Felix do Xingu, a municipality in the Brazilian Amazon that has one of the highest rates of deforestation in the country. Photo © Haroldo Palo, Jr.
Let’s face it: technological innovation is attractive. It has solved so many of our problems that people have come to view technology as the key to improving society. The world of policy, big business, investment, and venture capital mirrors (and often leads) this perspective. Tech companies dominate the top 10 of the world’s most innovative companies, according to Boston Consulting Group’s most recent report. More broadly, perhaps part of the appeal of “innovation” is that we implicitly associate it with economic progress, at least since the second half of the 20thcentury. With around 3,000 journalists in attendance, the UN Conference of Parties (COP21) in Paris generated more column inches than any previous COP. And not surprisingly, energy terms and topics received hundreds of times more attention than the land sector, which received just 0.1% of the media coverage. Yet, the land sector can potentially deliver at least 20% of the climate solution — and likely much more. In another example, in Brazil’s state of Pará the Conservancy is helping the state government meets its goal of spurring economic growth with net zero deforestation by 2020. We have found that by restoring degraded pasturelands and implementing other agricultural strategies, ranchers in Pará can sustainably graze three cows per hectare, tripling current productivity without expanding their agricultural footprint — thereby avoiding further deforestation. Such a scaling up can only be achieved by mobilizing the full resources of the private sector, mainstream finance, and public policy. The conversation around climate change solutions as a whole has already started to shift, with encouraging results. The New Climate Economy shows how climate solutions are not economically impractical, but rather hold positive economic opportunity. The Carbon Tracker Initiative has successfully reached the investing and financial sector with its carbon and stranded assets argument. 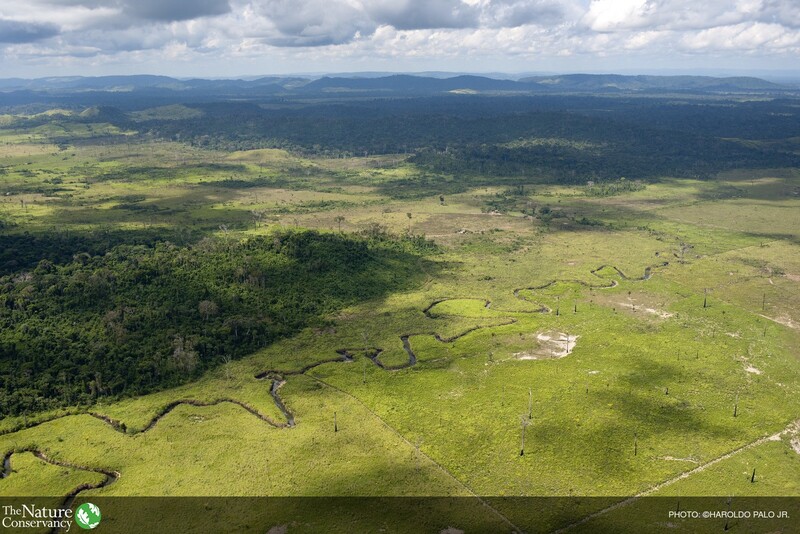 The land sector requires a similar turnaround in conversation — and thinking. It’s time to take action on the agreement formed at COP21 in Paris. And we can only meet its goals by tapping further into the land sector. We’ve made outstanding progress in scaling up our energy sector, and we need to apply the same level of vigor and capital to lands. We need to work with governments to design policies that encourage better land management in much the same way that governments incentivized green energy. We need to shape investable and scalable options across the land sector. Most of all, we need to act upon the unique potential that the land sector offers in shaping our global climate — today. Let’s get to work with a little more innovative thinking, rather than purely relying on the next technology fix. Justin Adams is the Global Managing Director for Lands at The Nature Conservancy. You can follow Justin on Twitter @JustinCMAdams. Learn more about our work at nature.org/global. Originally published at blog.nature.org on February 17, 2016.